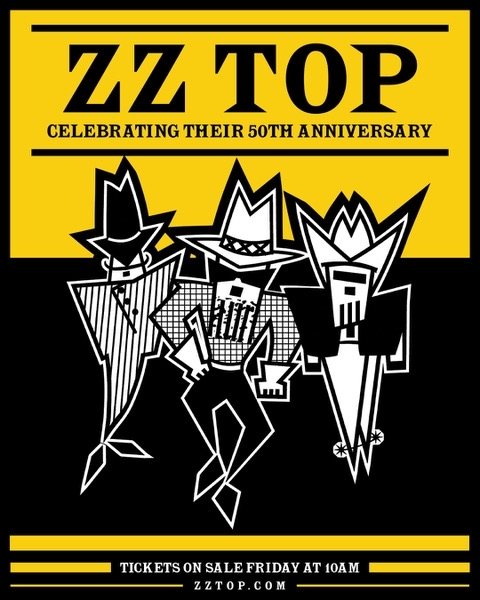 ← THE CULT Announces ‘A Sonic Temple’ Tour Dates In North America And U.K.
Rock And Roll Hall Of Famers ZZ TOP are celebrating their 50th year with a massive North American tour this summer. Kicking off the 50th-anniversary tour August 16, the real Tres Hombres will play coast to coast and border to border. CHEAP TRICK and Southern rock stalwarts LYNYRD SKYNYRD will also join the tour as it snakes through the country into late October. ZZ TOP still maintains the most consistently stable lineup in the history of rock music: Billy F. Gibbons, Dusty Hill and Frank Beard. In 1969, following the demise of THE MOVING SIDEWALKS, Billy’s Houston psych-rock band, the singer/guitarist formed ZZ TOP, linking up with drummer Beard and bass-guitarist Hill, both from the Dallas-based band THE AMERICAN BLUES. Fifteen studio albums, 30 million record sales and fiuve decades later, “That Little Ol’ Band From Texas” is still going strong, playing timeless hits like “La Grange”, “Legs”, “Sharp Dressed Man” and “Tush” to audiences the world over. Tickets for newly announced dates go on sale starting Friday, April 12 at 10 a.m.